Anyone in the marketing profession recognizes that when it comes to SEO, things change quickly. The strategies that worked well in 2010 were rendered useless after Google Panda and Penguin were rolled out, and while most search engine updates don’t receive nearly as much attention these days, they can still have a substantial effect on your rankings. To put it bluntly, it’s not as easy to rank as it used to be. In fact, according to a Bright Local poll, 62% of respondents feel that SEO is getting harder, while only 18% feel that it is easier. It’s very easy to get frustrated with all Google’s changes, especially if you wake up one morning and find that your previously great organic search rankings have almost entirely disappeared. As an example, take Andrew Youderian of Ecommercefuel—he said that his site lost nearly 80% of its traffic three days after the first version of Penguin was released. These kinds of dramatic swings have prompted speculation that Google constantly changes its algorithm in order to force people to buy ads, but former Google web spam leader Matt Cutts has done his best to lay these rumors to rest. With this in mind, it’s clear that too many people get bogged down with the technical aspects of SEO. They should, instead, be basing their SEO strategy on Google’s mission. Ultimately, Google’s goal is to provide a high-quality experience for their readers, and their delivery on this promise is the reason that Google has captured three quarters of the search engine market. If you develop your SEO strategy with this key tenet in mind, the odds are good that you’ll rank higher in the SERPs and—more importantly—maintain those positions, no matter what changes come down the SEO pipeline in the future. If it sounds simple, that’s because it is. Google will always be tweaking its algorithm, but it will never deviate from these guidelines. Follow them closely, and you should have no problem future-proofing your SEO and ranking for a long time. 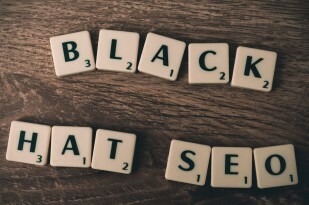 Using black hat SEO tactics can be tempting, especially if you’re facing SEO penalties or ranking drops due to devalued techniques. However, it’s actually the last thing in the world you want to do if you ever hope to achieve Top 10 rankings. Google is constantly improving its ability to detect when a brand uses strategies that violate their guidelines. A link that you paid for five years ago could come back to haunt you, making it your best option to avoid doing any black hat activities and remove any links that were improperly attained. Many brands get tunnel vision when it comes to optimizing for keywords. They choose a couple of very broad keywords to focus on and neglect the long-tail keywords that are even more relevant to their brand. Short-tail keywords tend to face a lot more competition, which makes it difficult to maintain consistent rankings for them. It is easier to guarantee stable rankings for the long-tail keywords that your competitors have overlooked. If you’re only focusing on a couple of keywords, you can end up over-optimizing your site for them, making your website look unnatural to the search engines’ spiders. 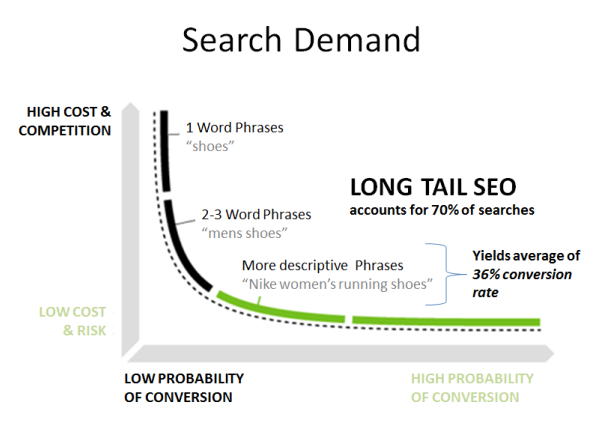 Long-tail keywords tend to serve different purposes for search users. Some convert much better than short-tail variations, which means that they can provide a higher ROI, even if they have much lower search volume. There are plenty of different tools on the market to help you find great keywords, such as Keyword Discovery or Wordstream, both of which allow you to monitor historical search trends and easily expand your list of new keywords (both short- and long-tail). Google seems to keep swinging the pendulum between focusing on on-page and off-site SEO, though recent statements from Matt Cutts suggest that Google intends to be more occupied with on-page SEO in the future. And since they don’t appear to be going anywhere anytime soon, it’s up to you to master the best practices of on-page SEO. Use short permalink URLs with clear target keywords included. It’s an old-school technique, but Google still ranks websites higher if they have keywords in their URL. That said, it’s important not to be excessive. In an interview with Stephan Spencer, Matt Cutts said that URLs with more than five words can start to look spammy, so it’s important to try to keep the link shorter. Remember, there’s always a method to Google’s madness. They aren’t just looking for short permalinks for the heck of it; instead, they encourage using shorter links to provide a better experience for users. Keep this in mind and you shouldn’t run into any issues. Like Panda and Penguin before it, Google Hummingbird has resulted in specific changes—in this case, the importance of keyword density. However, Matt Cutts has clearly stated that webmasters shouldn’t obsess over it. Instead, the focus should be on providing valuable content that answers the questions users have in mind while searching. Tim Hill offers a great video that discusses this topic. In it, he encourages you to think this way: if you’re trying to rank for a page about the height of Mt. Everest, you’ll be better off creating an article that provides the answer, rather than one that keeps repeating the keyword phrase “height of Mt. Everest” in the content. Images play a very important role in SEO, though most brands don’t optimize them nearly as well as they should. They may add the target keywords in the ALT description of the image tag, but there’s still a lot more that can be done. Use a full sentence or two in your ALT description that incorporates your target keywords, rather than just listing the keywords. This makes your ALT descriptions look more natural. Change the file name of the image to something descriptive that includes the target keywords. Make sure that your images are placed close to text on the page that contains the keywords you’re optimizing for. This will help the engines establish contextual relevancy. Be careful with image size. Large images can be more engaging, but they can also reduce page load times, which can make optimization more difficult. Future upgrades to the Panda algorithm could lead to images playing an even more important role in the future. But even if this doesn’t happen, you’ll still want to make sure that your images are optimized as much as possible to get the most SEO benefit. 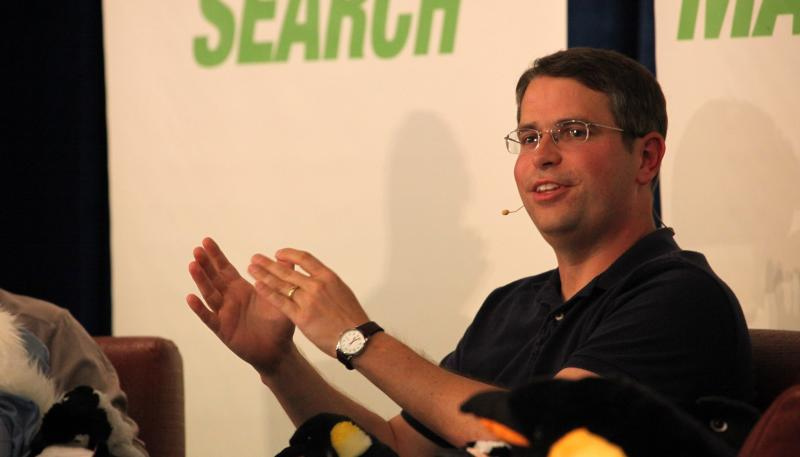 While Matt Cutts said that Google wants to eventually move away from using inbound links as a ranking factor, it is unlikely that the engine will ever actually be able to make such a shift. And since links will probably always play a role in the SERPs, let’s look at how to use them correctly. One thing that’s changed since Google first began using links as ranking signals is that it’s no longer hung up on the concept of PageRank. Five years ago, a black hat SEO could create an SQL injection bot to crawl the web and spammy backlinks, but since then, Google has made significant changes to devalue these spam links or to even penalize sites that receive them. 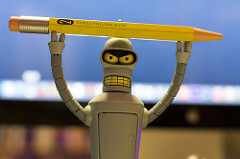 Future algorithm updates will almost certainly target spammy link-building practices even more harshly. The obvious solution is step up the quality of the links that you create. If your focus, instead, is on inspiring natural links from quality sites, you’ll find it easy to maintain great SEO rankings for years to come. So how do you create natural backlinks to boost your SEO rankings? There are still a number of options available to you that don’t run afoul of Google’s current guidelines. Guest blogging on quality sources that are related to your own content is still an ideal way to get your content indexed. Just note my emphasis on quality. The reason many people and sites have failed with guest blogging is that they create thin content and post it on low-tier sites. Don’t be that guy. If you’re going to go to the trouble of guest posting, only do so if you’ll be able to contribute high-value content to reputable sites. 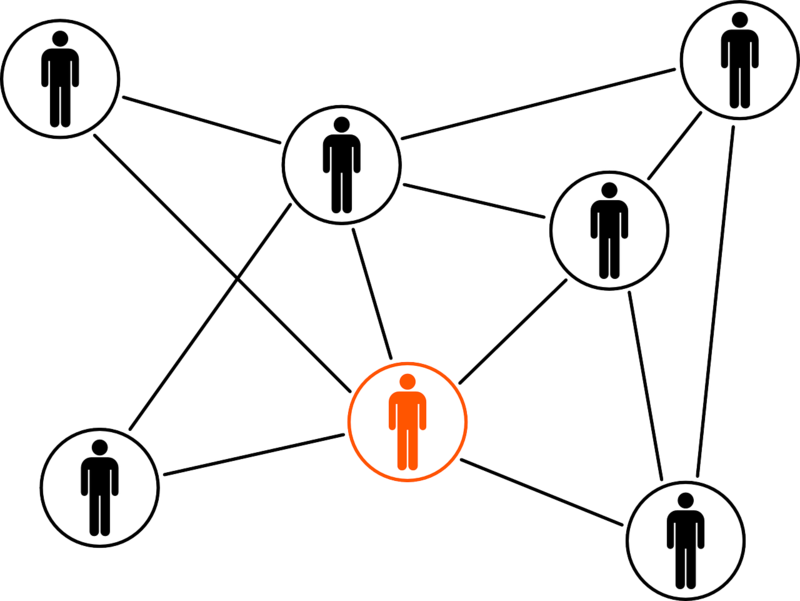 Link baiting is another common strategy for earning quality backlinks. And while it’s arguably one of the easiest ways to build links fast, few SEOs utilize it because it’s time intensive and there’s no guarantee (though, of course, we all know that no link-building approach comes with guaranteed results). If you’re still skeptical of the power of link-baiting, check out this case study from Robbie Richards. Robbie created the epic post “16 Explosive Content Promotion Strategies” and shared it on social media, where it became so popular that it earned 233 backlinks from over 30 domains. The backlinks boosted the entire site rankings, and Robbie’s traffic tripled in less than a month. That’s the power of effective link-baiting. Last year, many webmasters mistakenly believed that content marketing was dead after Google unleashed a slew of penalties against My Blog Guest, PostJoint and a variety of other sites that relied on guest blogging. In fact, many stopped guest blogging for fear that it would hurt their sites, though, as I mentioned above, that wasn’t the case at all. The problem wasn’t that content marketing was a bad way to generate backlinks. The issue was that many of these brands were placing poor-quality content on very low-quality sites. Google felt guest blogging as a practice had been seriously abused, and so, unsurprisingly, started penalizing sites that engaged in such spammy practices. Today, many great sites still use guest blogging to gain quality backlinks while also expanding their reputations and driving website traffic. As an example, I’m a guest author for sites like Search Engine Journal, Entrepreneur, and Content Marketing Institute. Even though many of these links are no-followed, they’re still valuable to my link profile. Content marketing will never stop being an effective strategy for building links to your site, as long as you put in the effort to do a quality job. In fact, 55% of businesses plan to increase their content marketing budget in the next year. The trick is to develop a content marketing strategy that provides value to the readers. Moz recently created a great guide called Know What Your Audience Wants Before Investing in Content Creation and Marketing. It sounds intuitive, but it’s something few people do well. Check it out to make sure that your content offers great value for your customers in order to get them coming back and to boost your SEO rankings. 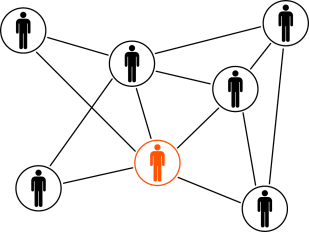 Most brands recognize that offsite link-building plays a very important role in SEO rankings. However, an internal backlinking strategy is also vital to SEO rankings, but it’s rarely carried out properly. Many brands overlook the importance of internal links because they’re easier to build—and even the brands that do use them often do so inappropriately. For example, they may create a lot of anchored links to the homepage of the site, even though there’s no logical reason to direct readers there. Don’t abuse them. You have much less editorial control over external backlinks. It can be tempting to try to boost the rankings to your sales pages by adding lots of onsite links with the exact same anchor text from every other page on your site (a practice sometimes referred to as “link sculpting”). Resist this urge because Google is tackling sites that overuse their internal linking for SEO. They haven’t been too hard on sites using these practices so far, but it seems likely that they’ll do so in the future. Use internal links in appropriate contexts. Make sure that your internal backlinks provide valuable resources to your visitors by thinking about the direction of your content and finding relevant pages on your site to link to. Use internal links in moderate quantities. With SEO, you should always live by the maxim of “everything in moderation.” Using a couple internal links on most pages of your site can be a good way to improve your rankings. Stuffing a single page with hundreds of links can get your page penalized and actually make it more difficult for Google to crawl your site. As a rule of thumb, use one internal link every few paragraphs. Using spammy links to boost your SEO used to make things much easier, but since Google has significantly improved its algorithm to tackle link spam, it’s much more difficult for brands to boost their SERPs ranking with low-quality links. It sounds scary that a competitor could get your site penalized like this, but what’s even scarier is that Google has gone from denying the possibility of negative SEO to acknowledging its dangers. The message here is very clear: Google is telling webmasters that they have to be proactive to protect their sites from negative SEO, because their algorithms can’t always tell. 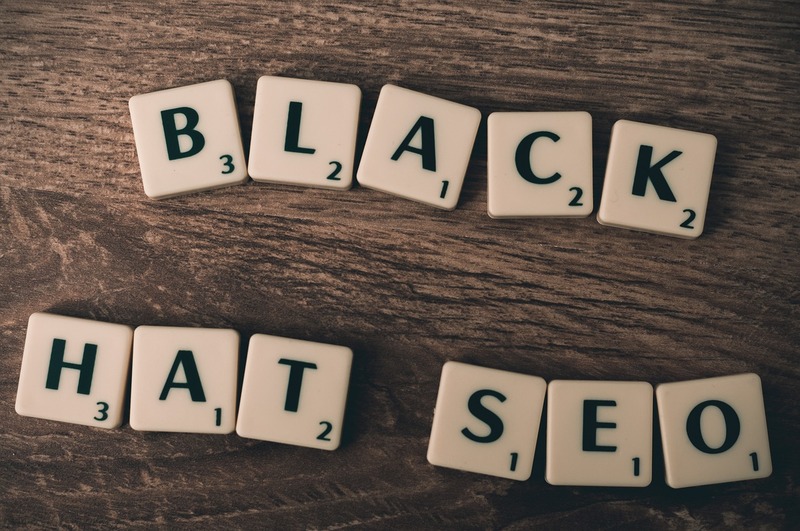 Being innocent of engaging in black hat SEO practices won’t always protect you. Monitor your backlinks. Conducting regular analysis using the backlink data found in Google Webmaster Tools is a good practice anyway, but you’ll also want to use this time to look carefully for links that look spammy or like they come from sites that are selling links. Use the Disavow Tool. If you see any suspicious links coming to your site, you’ll want to immediately disavow them through Google Webmaster Tools. By requesting that Google stop counting these links, you’ll reduce the chance that you’ll be penalized for them. Protect your quality links. Creating negative links to your site isn’t the only way that competitors can get your site penalized. They can also try to get your quality links removed. They could send an email to other sites pretending to be a representative from your brand requesting that the link be removed or replaced with a link to their site instead. If you notice that quality links have gone missing from your list in Webmaster Tools, don’t be afraid to reach out to the publishers to see if they can be reinstated. While you may want to pretend negative SEO isn’t an issue, the statistics say otherwise. 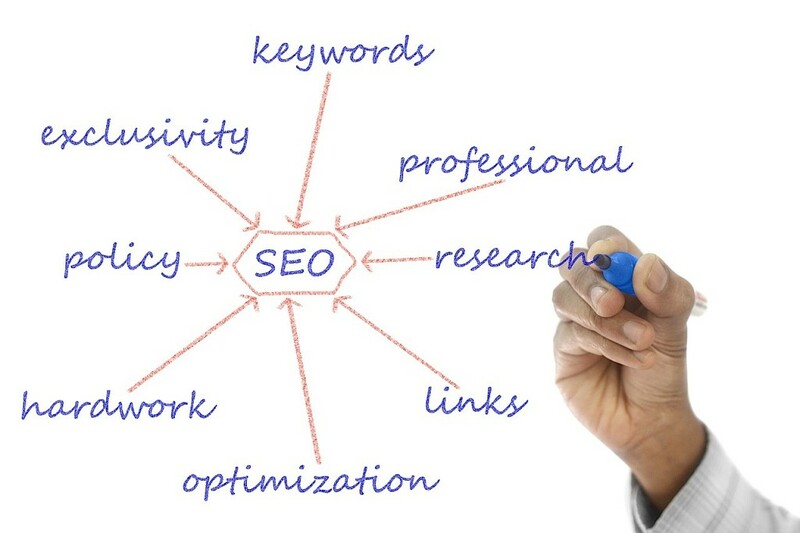 According to one poll from SEO Round Table, 89% of SEO professionals say that it works. That’s why it’s so important that you take steps to protect yourself from sleazy competitors who try to get your site penalized. What it comes down to is this: Google is constantly making changes to its algorithm. Instead of getting irritated or frustrated with the impact these changes have on your site’s rankings, remind yourself that these are not arbitrary updates. Google is only trying to improve the quality of the search results for its users. It’s up to you to get on board and show them that your brand is one of those high-quality results.